In an age when snail mail reigned supreme and few had access to a phone, postcards were a major means of keeping in touch with friends and family. There is a story behind each one, but after 100 years most have been lost and those that remain are meaningless to the reader. If only we could put together the pieces. In these historic cards is revealed a gem of a story – one that comes full circle at the end. The first (above) is of the original CPR Hotel Vancouver as it looked at the turn of the last century – mailed from Vancouver 100 years ago in February 1909. Note the stamp of King Edward VII . It was written by a sea captain, Charles Wall, an englishman originally from Birmingham, to his intended, an irish lass, Mollie Courtney, from Killarney, Co. Kerry. Mollie was an adventurous soul, being the first of her siblings to leave the farm and emigrate to America in 1900, all the way to the gold fields of Nome, Alaska, “the ends of the earth”, as her father described it in a letter entreating her to return home. Fortune she did not find, but while there she was befriended by a member of the Imperial Russian Court, a certain Prince Vladimir, Count Baranoff who had stayed in Alaska after the American purchase who lived in the tiny community of Golovin, [ current population 144 ] and visited Nome on occasion. Her brother Cornelius, followed by brothers James and Denis, were despatched to find her, but by the time they arrived the gold fever had turned to dust and Mollie had headed south to warmer climes in San Francisco, where they were reunited. None was ever to return to their native land. The small house at 349 Precita Ave where Cornelius, his wife Julia and small family were living still stands today. Next to the school, opposite the park overlooking the Mission District. Note : The term “The City”, to describe San Francisco is a common term used in northern California to this day. The second postcard (above), an excellent early example of commercial art by the Campbell Soup Company was also written by Captain Wall in August of the same year  by then to his new wife, Mollie. In the meantime they had married in San Carlos, then a small community south of “the city”. and she was continuing in domestic and housekeeping work with many an address change involved apparently. The presumption is that he was enroute across the continent by rail from Seattle at the time and had reached Minneapolis where he posted the card. Of their life together, little is known. They had no children. He died in the 1940’s, and she in the mid 1950’s after retiring as Head Housekeeper of the [now Four Seasons] Clift Hotel on the slopes of Nob Hill in San Francisco. For reasons no one alive knows, the families of Cornelius, James and Denis completely lost contact with each other until this January 27th – the birthday of Cornelius’ daughters, Rose and Marion – when Roses’ daughter Norma was contacted “out of the blue” by one of James’ great grandchildren to see if there was a connection between their families. Coincidence or….? After 100 years, Mollie would be overjoyed! The author recently found an interesting website to visit if your forebears came from the emerald isle. For the past five years we have been monitoring and dealing with the feral cats at Driftwood Centre. Two years ago we managed to trap, spay and neuter the four cats that were in residence. Because of the dry storage areas to curl up in and the abundance of food, more moved to Driftwood, and last summer a kitten explosion occurred. We managed to trap, foster, socialize, spay or neuter 13 kittens which we then found homes for. A further 5 kittens who were older that 10 weeks and could not be socialized, were spayed/neutered and released back to Driftwood. This was all done with the wonderful assistance of Pender Animal Welfare Society (P.A.W.S). Thank you. 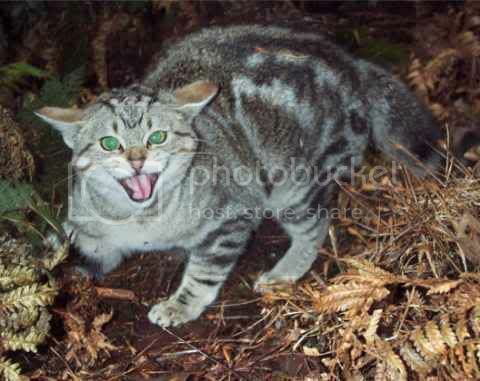 These cats are wild, they are not domesticated cats left off at Driftwood, and most are 4th or 5th generation feral cats. From experience, once they are older that 10 weeks, you can take the cat out of the wild, but you cannot take the wild out of the cat, and they do not make safe and friendly pets. None of the cats at Driftwood are younger than 4 months. The reality of the situation is that feeding these wild cats is not helping. A large amount of food is being left beside Tru Value daily; the cats now wait in expectation. More feral cats will soon move to the area, and once again we are going to be faced with a multitude of kittens in the spring. We cannot drain P.A.W.S.’s resources, and alternative solutions may have to be found. The health and welfare of the colony is being monitored. Short Term Vacation Rentals (STVR’s); Senior’s Village at the Driftwood proposal; clearcut on Hoosen Road; derelict car(s) in your neighbour’s yard; “I was swerving to avoid a deer” excuse; development permits; cutting over the yellow line on corners; the forth power outage in a week; noisy weed wackers; mountain bike park proposal; waving at strangers; potholes; installation of water meters in Magic Lake; beach cleanup day; swimming pool proposal; juicy rumours; bottle drive; time share developments; Kareoke Night at Browning; Community Hall funding; Official Community Plan (OCP) revisions; that ugly truck that burns oil and needs a muffler; Car Stops; eagle tree; the Fall Fair; wood smoke; broom bashing; the Medical Centre; the Pender Library; the Nu-To-Yu; Meals on Wheels; the Legion; the Pender Post; etc. Now how do you feel? For me, I feel lucky to be a Pender Islander because of our idiosyncracies, talents, opinions and accomplishments. As do many others, I will, in my own small way, try to make this unique island even better! This year the RIPS Canadian Race Week will take place from Port Browning on Pender Island from Saturday August 15th to Wednesday Aug. 19th. This event is open to PHRF-NW, PHRF-BC and One Design. But hurry! The registration cut off is January 31st. The entry fee is $14/foot which includes regatta entry, moorage, and on-shore activities. Log on to www.rips.ca for more information and Notice of Race and Registration or call RIPS Yachting Ltd. at 250-656-0599. HEY PENDER ISLAND! IT IS TIME TO $CASH$ IN ON YOUR TALENTS! And it’s time to include yourself in the opportunity to belt out some tunes for us and walk away with CASH!!! PLUS 2nd & 3rd PRIZES!!! NO COST TO ENTER! Registration begins Saturday Night, January 31st, the premier event of the contest. Latest date to register: Feb. 28th!!! When: SATURDAY NIGHTS 9pm until CLOSE * BEGINNING JANUARY 31st UNTIL CONTEST FINALE APRIL 11th. How: BY HAVING FUN AND SUPPORTING YOUR COMMUNITY! Should You Stop Eating Salmon? Could be your last (sockeye) meal. Yes, says a top UBC scientist. ‘Smart shopping’ isn’t saving wild stocks. One of the big movers this holiday season was a President’s Choice frozen appetizer: salmon wellingtons, little puff pastries stuffed with Marine Stewardship Council certified wild pacific salmon. Great to know harried holiday hosts could feel good about what they were serving, right? Sorry to ruin the party. Although certification programs and awareness campaigns have succeeded in stigmatizing farmed salmon, some say this market-based approach to fisheries management is not only ineffective, but also misguided. The bottom line, say researchers, is that all salmon species are in decline, with some stocks sinking to unrecoverable levels. The iconic wild animal of the Pacific Northwest is facing total extinction. Which raises a very hard question here in British Columbia — a question that strikes deep into our economy, our cultural pride, our very identity in this part of the world. 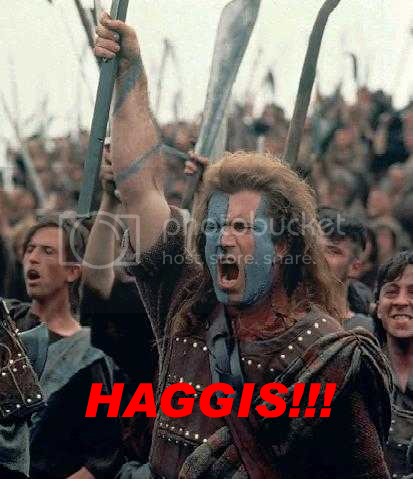 The Haggis Hunt scheduled for the weekend of January 12th must be stopped. Haggis is an endangered species, with over 100,000 being consumed world-wide each January. More than a dozen will be eaten on Pender alone at the Pender Highlanders Burns’ Night Supper, January 19th (reportedly sold out). What can you do? 1) Demand the Highlanders use a substitute at the Burns’ Night Supper. 2) Come to the Rally at Driftwood Centre, Saturday morning, January 12. Bring a biodegradable protest sign that has been made with recycled cardboard and non-toxic ink. Join the march around the parking lot. 3) Go to the various habitats frequented by this adorable animal and stand between the wee, defenceless haggis and the meat loving, kilt wearing, dirk wielding, bagpipe playing, sporran sporting hunter. Emeraldmellowness, the world’s most effective environmental activist group dedicated to the issues of climate change, saving our ancient forests, and protecting the haggis will be on hand lending moral and physical support to the protest. Their ship, the Multihued Fighter will dock at Hope Bay at 8 am and crew members will cycle to Driftwood in time for the rally. Pack an extra granola bar in your hemp jeans, fire up the Volvo and join us in saving the haggis!